Another busy week but a very fun-filled weekend! Friday night, we went to see Spamalot, put on by a local dinner theater, my Christmas gift to my husband and sons. It was wonderful! The show was great - very funny - with superb acting, the food was good, and it was so nice to have a little time with just the four of us - a rarity now that our sons are older. They can recite Monty Python and the Holy Grail from start to finish, so this was the perfect show for them. Saturday, with our younger son away for the weekend, my husband and I took a last-minute 24-hour trip to Baltimore, about an hour away, and used some old hotel points that were about to expire for a night at a lovely Hyatt right on the harbor. We love Baltimore and thoroughly enjoyed the mini getaway. I'm pretty exhausted today but it was worth it! I finished The Two-Family House by Lynda Cohen Loigman, a debut novelist, due out March 8 and wrote my review for Publisher's Weekly. It's an engrossing family saga set in the 40's and 50's. I started my next book group choice, The New Jim Crow: Mass Incarceration in the Age of Colorblindness by Michelle Alexander. It's a fascinating topic - and an important one - and I'm learning a lot, but the writing is kind of dry and textbook-like, so I am struggling with it a bit and needing a fiction fix! I am listening to A Night Divided by Jennifer Nielson, a middle-grade audiobook about the Berlin Wall. It is fascinating and riveting - why hasn't anyone ever written historical fiction about the Wall before? My husband, Ken, finished The Cuckoo's Calling by Robert Galbraith (aka J.K. Rowling), the first of her Cormoran Strike series. He enjoyed it. Now, Ken is reading The Eye, the Ear, and the Arm by Nancy Farmer, a middle-grade science fiction novel by one of our favorite authors. Our son read this one, and it's on my list, too! Jamie, 21, finished Trysmoon Book Two: Duty by Brian Fuller. He says this series is so good that it got him back into a regular reading habit. Now, Jamie is re-reading books 3 & 4 of Cinda Williams Chima's Seven Realms series, The Gray Wolf Throne and The Crimson Crown. This is one of his all-time favorite series, and he is getting ready for the upcoming release of the next book! 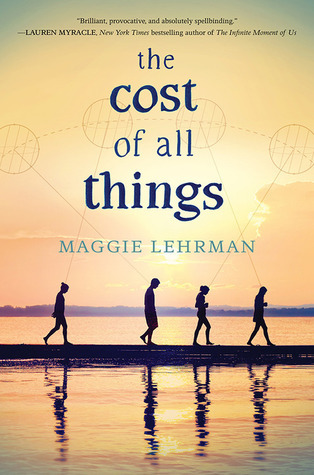 I recently listened to The Cost of All Things by Maggie Lehrman, a teen/YA novel, on audio. For the most part, it is a realistic novel about teens struggling with love, loss, and friendship…but with a significant twist: magic. The world that Ari lives in is exactly like ours, with one exception: the existence of hekamists, who cast spells. Although hekame is now illegal and many covens have been disbanded, hekamists still exist, trained in the spell-casting arts by their mothers and grandmothers, quietly accepting cash and making up spells that reside in food or drinks for their customers to ingest. People visit hekamists for spells for love, beauty, changes in fortune, and all kinds of other reasons. As the novel opens, Ari, who just finished her junior year of high school, is covertly visiting the local hekamist in Cape Cod, where she lives with her aunt. She wants a spell to make her forget her boyfriend, Win, who died five days earlier. The pain is so intense that Ari asks for a powerful spell that will make her forget Win completely and permanently. The hekamist warns Ari that all spells come with a cost; a beauty spell might make you less smart, for instance. Although Ari assures the hekamist she’s never had a spell before, it’s clear to the reader that she’s lying because she keeps thinking about a pain in her wrist that she attributes to another spell ten years ago. Ari’s best friends are Diana and Kay, but Ari keeps her spell secret even from them. The narrative flashes back to five months earlier, where we see the three girls living a carefree, typical teen life – going to school and parties, hanging out together, having fun. Ari is completely committed to ballet and plans to move to NYC after high school, Diana loves horseback riding and is planning to go to a horse camp for the summer, and Kay makes no secret of the fact that she has had a beauty spell. Win is Ari’s boyfriend, and his best friend is Markos, who comes from a large family of brothers who run the local hardware store with their mother. One day after baseball practice, Markos stops to talk to the local hekamist’s teen daughter, Echo, about a special spell for he, Win, and Ari. He and his brothers are having their annual beach party the next day, and he wants to do something special for the three of them. The narrative moves back and forth in time and from one character’s perspective to another. It can get kind of confusing at times, though it’s probably easier to keep track of when reading the book rather than listening to it on audio. The other complication is the spells themselves. Not everyone is as open as Kay about having had spells cast on them, so there are some surprises here, as the reader gradually finds out who has had spells, why, and what their consequences were. As the hekamist tells Ari in the opening chapter, all spells have costs. I enjoyed this thoroughly unique and complex story. It’s unusual because yes, there are spells and magic in this world, but otherwise, it is a realistic, contemporary teen novel about the real challenges that typical teens struggle with in our everyday world. The difference is that they often try to resolve their problems with magic, with unforeseen consequences. The audio production was well done, read by Sharmila Devar, and I enjoyed the intricate web of cause and effect that kept me guessing, revealing its secrets one by one. 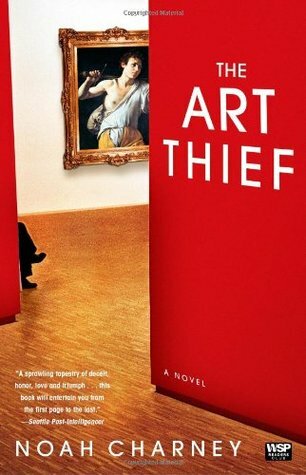 In January, my neighborhood book group discussed The Art Thief by Noah Charney. I wasn’t thrilled with this choice since I know nothing at all about art, but I ended up enjoying this complex mystery set in the European art world. In each of the novel’s opening chapters, different art thefts occur from three different locations in Paris, Rome, and London. The story moves back and forth between these different stories, each peopled with different characters. 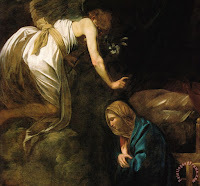 First, in a small Roman church, a Caravaggio altarpiece, Annunciation, goes missing in the middle of the night, leaving a distraught priest and confused authorities without a clue to its disappearance. Gabriel Coffin, an art expert who works for an insurance company, is brought in to consult on the case. 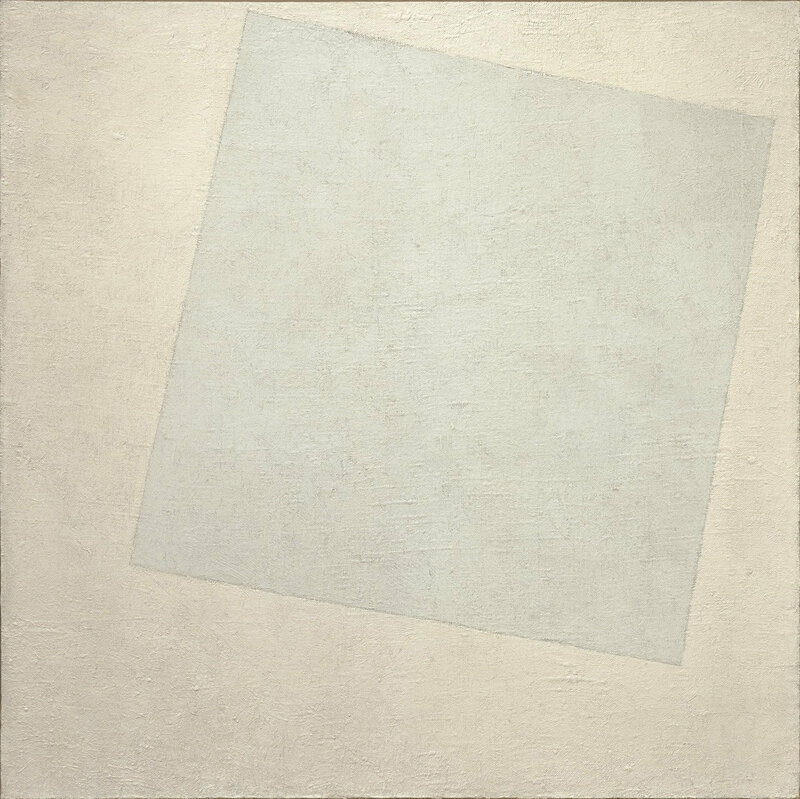 Meanwhile, in Paris, Genevieve Delacloche, a woman working for the Malevich Society, tries to explain to a representative of Christie’s in London that the Malevich shown in their catalog for an upcoming auction, Suprematist Composition White on White, must be a fake because the original painting is sitting there in the building in Paris. However, when she gets off the phone with him and goes down to the basement to look at the painting, she finds that it is missing from their archives. Inspector Jean-Jacques Bizot and his dining companion, Jean-Paul Lesgourges, an art expert, investigate the missing painting. 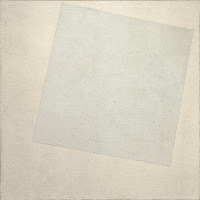 Over to London, a few days later, the Malevich in question is indeed auctioned off to the National Gallery of Modern Art for 6.3 million pounds. Delacloche is present and notices some unusual things about the painting and others at the sale, as well as some of the buyers. Twenty-four hours later, the painting is stolen from the museum, outsmarting its high-tech security system. Inspector Harry Wickenden of Scotland Yard is called in to investigate. Although he knows little about art – he says he can rely on experts for that – he is a good detective who has never failed to either recover the stolen artwork or catch the thief or both. As the novel progresses, these three thefts are investigated by three different sets of authorities in three different countries. The world of art experts is a small one, though, and there is some crossover between the cases, as some of the same experts are called in to consult on multiple cases. There is also Professor Barrow, an art history professor in London, who provides some art background to the reader as he lectures his students, as well as a bit of comic relief, and plays a small unwitting role in the cases. If all of those different characters and investigations sound confusing, it is sometimes. That’s also one of the good things about this novel – all of the complex threads are woven together into an intriguing mystery (or more accurately, mysteries). Along the way, the reader learns a lot about art and art crimes. I enjoyed this novel, as did many of my book group members, though it has some flaws. There were some plot holes and inconsistencies…I think. Even after a 2-hour discussion and reading the entire book, I was still left feeling not 100% sure that I understood every nuance of the plot or exactly how the crimes had been committed. There is some humor woven into the novel – mostly through the outgoing and sometimes outrageous Professor Barrow and also through the two Jeans in Paris, who are more focused on food than on solving the crime – though sometimes the humor feels a bit heavy-handed and forced. Overall, I just went along for the ride and enjoyed this convoluted mystery. Our group’s reactions varied from loving the novel to thinking it was just OK, with ratings (on a 10-point scale) ranging from 5 to 9, with an average of 6.2. We all agreed we learned a lot about art and art crimes, and I enjoyed looking up many of the paintings mentioned in the book on the internet to see what they actually looked like. If you enjoy mysteries, this is a good one with plenty of clues, characters, and complexities to keep you guessing. We are still exploring our new Netflix subscription (and, yeah, watching way too much TV!). In between binging on Orange Is the New Black, we sometimes have time for other shows. I particularly relish my lunchtime TV viewing, when it is just me, alone in the quiet house, taking a break from work...and with no males around to choose the shows! This is when I watched my girl-shows (that sounds vaguely dirty, but you know what I mean), like Younger and Crazy Ex-Girlfriend and Transparent. My newest lunchtime discovery is Grace and Frankie. This half-hour comedy stars Lily Tomlin, Jane Fonda, Martin Sheen, and Sam Waterston. Enough said. I was sold when I heard the cast list! 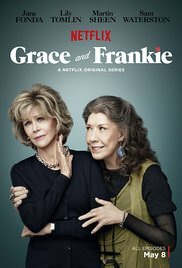 They are all wonderful in this show with a very unique premise (Lily Tomlin was nominated for both a Golden Globe and an Emmy for her role). In the first episode, Robert and Sol, played respectively by Sheen and Waterston, tell their wives that they are lovers. Robert and Sol have been business partners for 20 years but have kept their personal relationship a secret. Now they are coming out of the closet, leaving their wives, and moving in together. The news is a complete shock to their wives (and their grown children). Grace, played by Fonda, is a perfectly coiffed woman who started her own business. Frankie, played by Tomlin, is more of an aging hippie type, dressing in loose colorful clothing and into artistic pursuits. Both women are completely blown away by their husbands' secret and look to escape from their respective homes. They both set off for the beach house that the four of them bought together many years ago. Of course, the two of them are complete opposites in every way and don't even like each other much, but they are thrown together and both feeling lost. There is nothing earth-shattering about this show, except for the incredible combined talent of its main actors, but it is fun and light and enjoyable. Fonda and Tomlin each play stereotypical roles that they have played before, but all four actors are just fun to watch. There are some issues addressed here, particularly being left by your spouse later in life and just aging in general, but for the most part, it is a fun confection, and it's enjoyable to watch these four together. Grace and Frankie is shown exclusively on Netflix. Which TV comedies are you enjoying? First, we watched All Good Things, a creepy psychological thriller based on the true story of Robert Durst, who was suspected of killing his wife but never convicted. Ryan Gosling plays David Marks (the Robert Durst character), a lackadaisical young man in the shadow of his father, played by Frank Langella, who's a powerful, wealthy real estate mogul in 1970's New York. David falls for Katie, a sweet young woman played by Kirsten Dunst whom his father disapproves of because she isn't from the right kind of family. They marry anyway and move to Vermont to open a natural foods store. Their happiness is short-lived, however, as David's father convinces him that he must join the family business or else Katie will eventually leave him because he can't earn a good living. David reluctantly joins his father's (rather criminal) business alongside his older brother, and his downward spiral begins. He knows he's sold out and given up his dreams and becomes more and more bitter. In addition, Katie wants to have kids and David is firmly against it, which further broadens the rift growing between them. They have two gorgeous houses - one in the city and one on a lake - and all that money can buy, but neither of them is happy, and David seems more and more withdrawn. As you might recall from the news reports in 1982, Katie goes missing one night, and though foul play is suspected, nothing is ever proven and no charges are ever brought. The entire movie is framed by a courtroom scene, with voiceovers of an attorney questioning an elderly David about all of these events, though we don't find out until the end of the movie exactly why he is in court. It's a creepy psychological thriller that keeps you guessing. Ryan Gosling is perfect in the lead role, playing his usual silent but deep and troubled guy with a chilling coldness. Kirsten Dunst is also excellent as Katie, and Frank Langella plays the controlling, powerful father very well. All in all, it is a chilling movie based on a real-life unsolved case - not exactly uplifting fodder but gripping and darkly suspenseful. 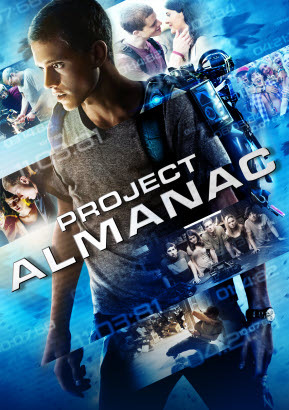 The next night, we switched gears and watched a fun, fast-paced sci fi movie called Project Almanac, about a group of teens who time travel. David is obviously very smart - the movie opens with his video application to MIT, as he and his friends demonstrate the drone they built, while his sister, Christina films them. In fact, the entire movie is supposedly filmed with Christina's hand-held camera in that style made popular by The Blair Witch Project. Accepted to MIT but unable to pay for it, David searches his attic for projects left by his scientist dad that he might work on to apply for a scholarship. He and Christina find an old video camera, with footage from David's 7th birthday ten years earlier, the day that his dad died in a car accident. Watching the video, David recognizes his current self in a mirror, which sets him, his sister, and his friends on a search for a way to time travel. They discover a hidden compartment in the basement where his dad hid top-secret government blueprints and equipment for Project Almanac. The geeks put their heads together, go shopping, and finish putting the time travel apparatus together using the blueprints over the course of several weeks. Cute girl Jessie joins their ragtag group, and they begin traveling back in time. They start slowly, going back a week so that one of their group can retake the chemistry test he failed because he was busy working on the time machine. They make other trips back for various reasons, until they start to notice some unintended consequences. You can guess the rest - as in any time travel story, you should never tamper with the past! Things spin out of control as David frantically tries to fix their mistakes. I love time travel stories for their mind-bending and thought-provoking twisty plots, though this one has a few holes in it. I see that some critics really hated the hand-held camera approach here or picked apart the plot holes, but the three of us just went along for the ride and enjoyed it. It's a fun-filled, action-packed teen time travel movie, with the usual subplots about friendship and love, and of course, that hard-won lesson: never tamper with the past. Funny how things never quite go the way you planned, isn't it? I was ready for a busy, productive week last week, then our college son stayed home sick all week (which means the TV was on round the clock! ), and my own chronic illness was flared up just enough that I couldn't get much of anything done. So, I watched a lot of TV with my son, movies in the evening, and got even further behind on my blog! I am still reading The Two-Family House by Lynda Cohen Loigman, a debut novelist, due out March 8. This is my next review book for Publisher's Weekly. I'm about three-quarters of the way through so far and enjoying it - it's an engrossing family saga set in the 40's and 50's. I finished The Cage by Megan Shepherd, a teen/YA novel which has been called "The Maze Runner meets Scott Westerfeld," about humans being held in zoo-like places by an alien race. It was engrossing and unique, and the audio was well-done with different actors. Review to come soon! Now, I am listening to A Night Divided by Jennifer Nielson, a middle-grade audiobook about the Berlin Wall. It is fascinating and riveting so far - why hasn't anyone ever written historical fiction about the Wall before? My husband, Ken, is reading a Christmas gift from me, The Cuckoo's Calling by Robert Galbraith (aka J.K. Rowling), the first of her Cormoran Strike series. It's a long, dense book, but he's enjoying it (and I suspect our new Netflix subscription has slowed him down a bit, too!). Jamie, 21, finished Trysmoon Book One: Ascension by Brian Fuller, a Medieval fantasy (his favorite kind of book! ), and enjoyed it so much that he is now reading Trysmoon Book Two: Duty. He says this series is so good that it got him back into a regular reading habit. Craig, 18, finished Like Water for Chocolate by Laura Esquivel for his World Lit class - complaining all the way! He said it was so boring he feel asleep every time he tried to read it. He's not really a fan of magical realism (me, either, other than a few notable exceptions), plus as an 18-year old boy, he wasn't thrilled with the whole young woman's awakening theme. I might read it, though. I saw the movie but never read the novel before. 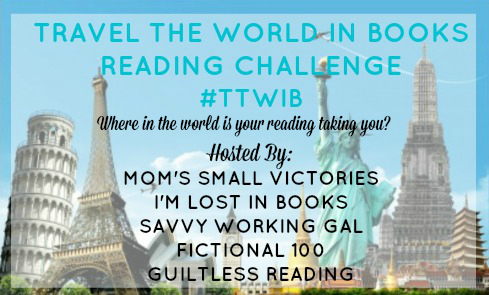 My 2016 Reading Challenges - yes, finally! I found some good ones. Jet trails on a blue sky - wonder where the airport is? Hope you are enjoying the weekend! It's almost 60 degrees here today - woohoo! Working on taxes and FAFSA but going to take a break for a walk. My first audiobook of 2016 was Solitaire by Alice Oseman, a 19-year old debut author who has created an honest, engaging portrayal of a modern teenager struggling with some serious issues. I was riveted by the story and its narrator. Tori, Solitaire’s narrator, is sixteen years old and attending Higgs school in her town along with her best friend, Becky. Lately, though, she feels as if she is drifting away from Becky and her other friends, as they get wrapped up in trivial things like boys and make-up. Tori seems more and more distant and apathetic to her friends, but the truth is that she is dealing with some very troubling issues in her life. Her beloved brother, Charlie, is struggling with mental illness after a suicide attempt, and though everyone acts like things are back to normal now, Tori knows that they aren’t. Tori’s internal struggles mount as she becomes more isolated at school, and into this turbulent mix of emotions comes Lucas, an old childhood friend whom she feels she doesn’t know anymore, a new boy named Michael Holden, and Solitaire. No one knows exactly what Solitaire is, but it is stirring things up at Higgs. Strange messages appear, the computers and PA system are taken over, and bizarre pranks begin to take place, all in the name of Solitaire with the tagline, “Patience Kills.” No one knows what it means – least of all Tori – but the whole school is watching and waiting to see what will happen next. Meanwhile, Tori sleeps and blogs and practically sleepwalks through her school days, while fending off the friendship of both Michael and Lucas. Despite the barriers she puts up, she and Michael do become friends and begin to share some personal details of their lives. Meanwhile, Solitaire’s pranks become bigger and bolder – and eventually, dangerous – as Tori and Michael (and the rest of the school) try to figure out who or what is behind it. Many comparisons have been made calling Solitaire a modern Catcher in the Rye. I suspect those parallels are intentional, since there is a character here named Holden (last name, but still), and Tori’s anxiety and grief over her beloved brother mirror what Caulfield experiences. It’s really very clever, retelling this classic coming-of-age story in a modern setting with a female character, with that emotional turmoil of family strife set inside the already-difficult teen years. 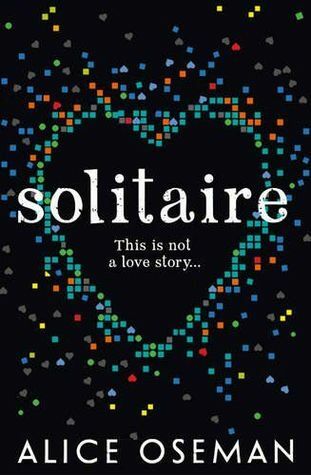 I really enjoyed Solitaire and found it both gripping as well as moving. It was excellent on audio, with British narrator Jayne Entwistle, who made me feel like I was really listening to Tori tell her own story (I can still hear her distinctive voice in my head). Despite Tori’s prickly exterior, the love and responsibility she feels for her brother make her a likable and relatable character. Though I figured out who was behind Solitaire before it was revealed in the story, there was still plenty of suspense alongside Tori’s emotional anguish and growth. Ultimately, this is a story of despair and hope, of learning to smile again and finding happiness when you thought you never would. I am a little (OK, a lot!) late getting started, but here are my reading challenges for 2016 - you can check my progress anytime at my 2016 Reading Challenges page. I have an entire bookcase of books waiting to be read! Last year, I managed to read 24 TBR books off my own shelves, so this year, I will aim to beat that and read at least 25 of My Own Damn Books. I was glad to see a new challenge hosted by one of my favorite blogs! The idea is to read one book a month from each motif. This will be fun! Crack the case and solve the mystery with your first book of the year. Read a book released in the last year. Make it out alive, beat the odds, save yourself stories. Try thinking beyond the typical wilderness survival. Surviving high school? Surviving a family road trip? Yep- those count too! PS. Dystopians would work great in this motif too. We’ve read a lot of great books. 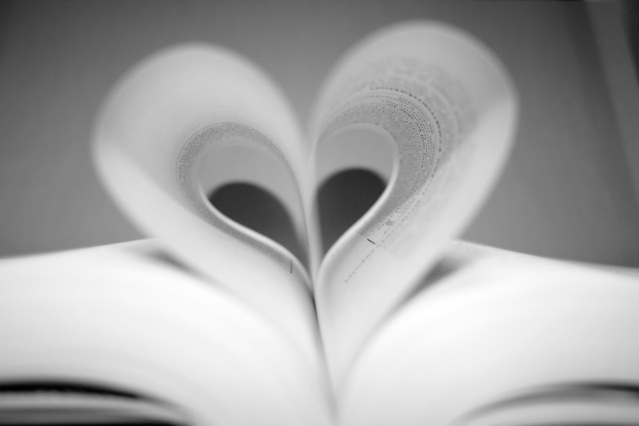 Check out our archives and pick one of our recommendations off our book lists. 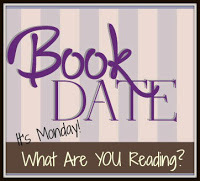 Hilarious memoirs, silly chick lit, comedic scifi. Pick a book that is guaranteed to make you laugh out loud. Pretty self explanatory and loads of great books to pick from in this motif. Cozy mystery ghost stories, paranormal creeptastic, murder mystery- it’s up to you! It’s all about Nonfiction November this month! Finish a series you’ve been meaning to finish or read the next book in a series you started but never finished. 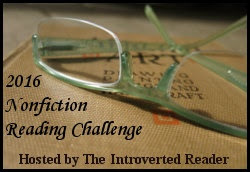 2016 Nonfiction Reading Challenge hosted by The Introverted Reader. I'm signing up for the Explorer level (6 - 10) & hoping to read more than the 8 nonfiction books I read last year! 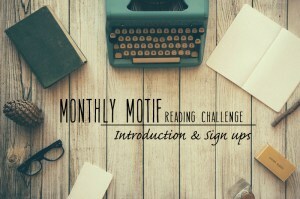 2016 Classics Challenge hosted by Pretty Books. The classics challenge I tried last year turned out to be a bit too limiting for me (no re-reads, nothing published after 1965), but this one sounds very flexible. The challenge is to read one classic a month, which I know I can't do (it is already the end of February, after all! ), but I think I will give it my best shot - I'm hoping it will motivate me to get to some of those classics I have been wanting to read but never have time for and some of the books my son is reading for school. 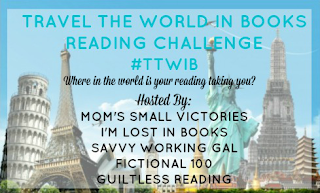 Travel the World in Books Reading Challenge hosted by Mom's Small Victories, another of my favorite blogs. I signed up for this one back in 2014, so this is a continuation - I can't wait to see what places I visit in books in 2016! Bookish Bingo hosted by Chapter Break - not really a challenge per se, but a fun game that I will try to play each month! Stop by to print out this month's Bingo card and play along! Is it really Monday? Doesn't feel like it here! The whole family is home (plus one extra) for President's Day. We had a nice Valentine's Day yesterday, with a mix of family time (it's rare now for all of us to be home together this much!) and some one-on-one time with my husband. I'm pretty wiped out from all that today, though. I finished The Rosie Effect by Graeme Simsion, the sequel to The Rosie Project, which I read and loved during New Year's week. The second book was just as good as the first, though different. There were still plenty of laugh-out-loud moments, but the story also brought me close to tears at one point. I just started The Two-Family House by Lynda Cohen Loigman, due out March 8. This is my next review book for Publisher's Weekly. I am still listening to The Cage by Megan Shepherd, a teen/YA novel which has been called "The Maze Runner meets Scott Westerfeld," about humans being held in zoo-like places by an alien race. It's been really engrossing and unique, and the audio is well-done with different actors. Jamie, 21, is reading Trysmoon Book One: Ascension by Brian Fuller, a Medieval fantasy (his favorite kind of book! ), and enjoying it - he's actually home sick with us today. Craig, 18, is reading Like Water for Chocolate by Laura Esquivel for his World Lit class. As you can imagine, he's not too thrilled with this choice! He's on chapter 4 and not loving it so far. TV Tuesday: Colony - one of our favorite new shows! Hope you are enjoying a relaxing weekend and staying warm! 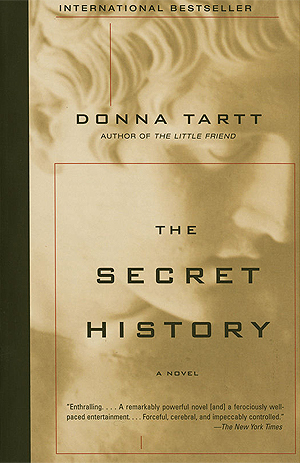 I have been procrastinating writing my review of The Secret History by Donna Tartt. True, I am behind in everything anyway and just finished my 2015 Summary of Books last week, but there’s more to my reluctance than that. I wasn’t sure how I felt about it. It’s a dark novel with a pervasive sense of dread, while I normally prefer more uplifting books, and there wasn’t a single likable character. Still, though, I found it oddly compelling and stuck with it through almost three weeks until I finished it. There’s no big twist at the end of this novel – you know right from the first page of the prologue that the main characters murdered one of their group – Bunny – and left him for dead in a ravine, where a big snowstorm covered their crime for ten days. That’s right on page 1. The rest of the book goes back and tells the story from the beginning, from the perspective of Richard, a young man brought up in a decidedly lower-middle class family in a small town in California, where his father owned the local gas station. Richard hated his life and his family (and the feeling seemed mutual), and was eager to escape to a better life. He got a scholarship to a small private college in Vermont called Hampden, and it was there that he met the others. Richard soon fell in with a small group of wealthy, snobbish students, keeping his own modest beginnings a secret. He found his way into their very exclusive (just six students) Classics program, taught by an eccentric but charismatic professor. The other students were Henry, a large, quiet young man whose father worked his way up and ran an empire; effeminate Francis, whose very young mother was more like an older sister to him; jovial Bunny, whose father was a banker; and the twins, Charles and Camilla, who’d been orphaned at a young age and brought up by family. While the rest of the students at Hampden were living a normal college life – running to a wide variety of classes, hanging out in the dorms, going to keg parties on Friday nights, Richard’s group studied Greek (and spoke and wrote it), lived in apartments filled with antiques, and led a very reclusive and unusual life. It’s a very odd group of students and a very odd story. Despite the closeness of their group of six, there are plenty of secrets and lies, including Richard’s entire life story. About three-quarters of the novel tracks the events leading up to the murder, then the rest is the fevered, frantic days afterward, their guilt and anxiety, the funeral, and finally, at the very end, where they all are now. Don’t expect any happy endings here! The tone of the novel is dark and brooding (as are the personalities of some of its characters), as you might expect for a story centered on the murder of one student by his closest friends. The focus on ancient Greece and the group’s odd retro habits set on a 1980’s college campus make it an unusual story – I saw one reviewer note that it follows the structure of a Greek tragedy. Although there is a murder at its center, this is no fast-paced thriller but a slow, gradual, complex literary novel, where the focus is on the characters (though there is plenty of violence, too). As I said, I generally prefer more uplifting fiction – and at least one character I can root for – but there’s no denying the depth and captivating pull of this unique story. P.S. While Tartt’s more recent novel, The Goldfinch, shows much of the same writing skill and literary quality as The Secret History, I enjoyed The Goldfinch much more. I can’t wait to see what she comes up with next! The Rosie Project by Graeme Simsion– a different kind of love story, about a man with Asperger’s searching for a wife in a methodical way – fun and laugh-out-loud funny, like a romantic comedy in a book. 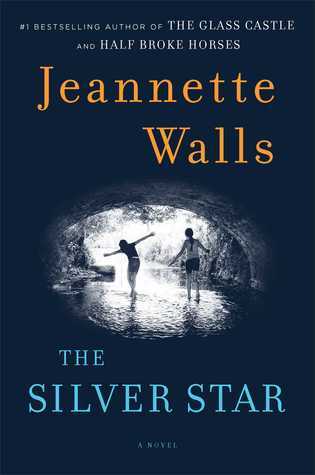 The Silver Star by Jeannette Walls – a novel by the renowned author of the memoir The Glass Castle that focuses on the love between young sisters in 1975 who rely on each other when their mother leaves them. Ellis Island by Kate Kerrigan – the story of an Irish immigrant to New York who must choose between her love and her dreams. Time and Again by Jack Finney – a love story within a time travel plot, wrapped in historical fiction, as the main character travels back in time from 1970 to 1882. The Storied Life of A.J.Fikry by Gabriele Zevin – a wonderful bookish love story full of life that will have you laughing and crying. 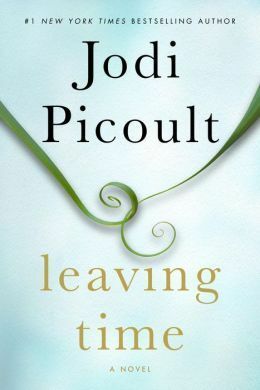 Leaving Time by Jodi Picoult – a unique and suspenseful story of a girl searching for her missing mother that highlights the unbreakable bond of love between a mother and her child. Prodigal Summer by Barbara Kingsolver – three different kinds of love stories, interwoven and all set in the hills of Virginia, with a heavy focus on the love of nature as well. The Snow Child by Eowyn Ivey – this combination of the reality of life in Alaska in 1920 and the fantasy of a child who comes to life in the snow showcases both the love between a husband and wife and between parents and a child. The Silver Linings Playbook by Matthew Quick – a quirky, hilarious, and uplifting story about damaged people finding love in the unlikeliest places. Redfield Farm: A Novel of the Underground Railroad by Judith Redline Coopey – a compelling novel about forbidden love set against a fascinating historical backdrop. Suzan Jackson is a freelance writer who lives in Delaware with her husband and two sons. She writes a blog about books, featuring reviews, book news, and more at www.bookbybook.blogspot.com. 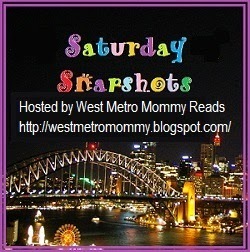 You can find reviews of most of the books listed here on the blog. Holloway plays Will Bowman, who is married to Katie, played by Sarah Wayne Callies. They have two kids at home and in the first episode, are visibly upset over a missing third child, Charlie. The Bowmans live in a post-apocalyptic LA, which is eerily similar to current-LA...only different. There are no cars on the streets, only walkers and bicycles. Things seem quiet and peaceful on the outside, but just under the surface, it is clear that people are scared and nervous. And the peace is occasionally shattered when robotic drones fly overhead, shooting at people who committed some unseen crime. LA has been invaded by an outside force, presumably alien, that has taken control of everything. There is a wall around LA, and the Bowmans worry about their older son, who was caught outside that wall when the invasion happened and is now working in a "factory" and unable to contact them. In the first episode, desperate to find their son, Will stows away in a truck headed outside the wall, but his plans are foiled when a Resistance force blows up the gateway to the other side. In the aftermath of the explosion, Will is offered a job in the controlling government - and this is not an offer he is at liberty to refuse. To keep his family safe, he takes the job, even though he and Katie sympathize with the Resistance. They both realize that Will must take this job, both in hopes of finding their lost son and to keep their remaining children safe. Bit by bit, as the episodes continue, viewers learn more about both the Resistance and the new order that is in charge, as Will and Katie end up in some precarious positions, trying to balance their real feelings with Will's job, and their need to keep their family safe. Even just 3 episodes in, we are all hooked on this exciting new show. It's classic sci fi, with lots of action and suspense but also plenty of human drama, too. The acting is excellent - Josh Holloway is just as charismatic here as Will as he was as Sawyer on Lost! Peter Jacobson (who starred as Taub on House) is also featured as the man who hires Will (and who has decided that siding with the invaders is the best way to benefit himself). The show is well-written so far and fast-paced. We can't wait to see what happens next! And...breaking news...Colony was just renewed for a second season, so it sounds like we're not the only ones enjoying it! Colony is available On Demand on cable and online at the USA Network website. Episodes are also available starting at $1.99 on Amazon Prime (see link below). Rejoice, book lovers! The trend of transforming books into movies continues to ramp up in 2016, with everything from classics to YA novels to recent best-sellers being adapted for the Big Screen. Here is BuzzFeed's List of 19 Books to Read Before the Movie Comes Out in 2016. Goodreads has its own list, with over 100 books being made into movies (but notice the caveat at the top of the page - the list was made by Goodreads' users, so not all of those listed will actually be released in 2016). All of these will make good movies. I know my husband and I will enjoy seeing the first two together. 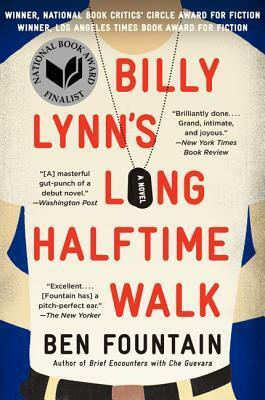 But the one I am most looking forward to is Billy Lynn's Long Halftime Walk because it was such an incredible, moving, funny book. It was a finalist for the National Book Award, and I can't wait to see how they adapt it for film - it will have to be really good to meet the standards of the book. The 5th Wave is one we have here at home, but none of the three of us have read it yet! It just came out in the theaters, so we better get busy. From the Goodreads list, Ready Player One by Ernest Cline (my favorite book read on 2012) and Looking for Alaska by John Green are favorite books of mine, and both will make great movies...but the latest updates show they won't be released until 2017. Similarly, my husband and I both LOVED Wool by Hugh Howey and can't wait to see that on film, but it is still only in the very earliest stages of development. Same with Artemis Fowl by Eoin Colfer, an outstanding middle-grade series. 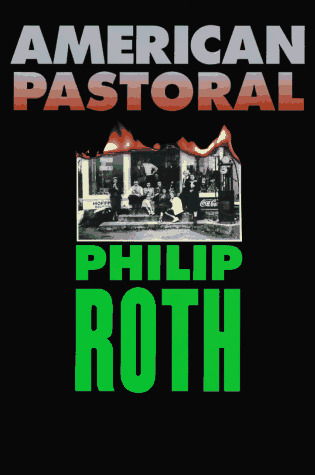 American Pastoral by Philip Roth, however, is due out in 2016 and should be good (probably more to my liking than my husband's, though!). 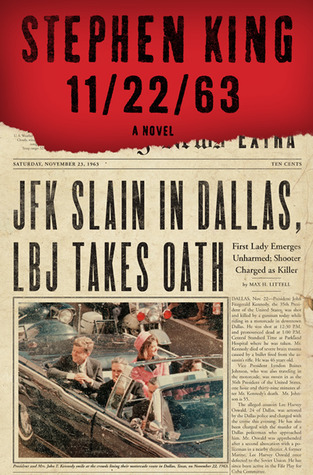 11/22/63 by Stephen King is another favorite of ours, but it has been made into a TV mini-series that will be airing soon on Hulu (we must find a friend with a Hulu subscription!) The Amazing Adventures of Kavalier & Clay is also slated for the small screen but is still in early stages of development. I'd love to see that one, too - it's such an epic novel that it will make a wonderful TV series. Wow, so many great movies and TV series to look forward to for us book lovers! Which movie adaptations are you most looking forward to in 2016? Whew, what a busy - but fun - weekend! We had our annual Mardi Gras party Saturday - just a small gathering of friends, mostly people we met when we lived in New Orleans (yes, we are now almost all in Delaware - a quirk of working for DuPont). Lots of food, music, and good company...but even a small gathering is tiring for me! Then, of course, we had Superbowl on Sunday. That was a very small party - just me, my husband, and my 90-year old father-in-law. Both of our sons had their own parties to go to. So, I was up until 11:30 pm two nights in a row! Seriously, that is really crazy for me. I quickly finished This Side of Wild by Gary Paulsen, a book of essays for middle-grade readers. We used to LOVE to listen to Paulsen's novels (especially the Hatchet series) on audio with our sons when they were younger. This collection of essays is all about encounters with wild animals (and some domestic). It was nominated for the National Book Award last year, so I'm glad I finally got to it - it was fascinating, fun, and laugh-out-loud funny! A perfect palate cleanser between longer books. Now, I am reading The Rosie Effect by Graeme Simsion, the sequel to The Rosie Project, which I read and loved during New Year's week. I liked the first book so much that I requested this one from the library, even though I have enough books here at the house to keep me busy for years! It's great so far - warm and very, very funny. I am listening to The Cage by Megan Shepherd, a teen/YA novel which has been called "The Maze Runner meets Scott Westerfeld," about humans being held in zoo-like places by an alien race. It's really engrossing so far and pulled me into the story from the very first chapter. The audio is well-done with different actors. TV Tuesday: Orange is the New Black, our latest TV addiction! Weekend Cooking: Happy Mardi Gras! - still plenty of time to cook or eat some delicious foods to celebrate tomorrow! Lots of great food to help celebrate Mardi Gras! This weekend marks the end of the Mardi Gras season, which begins on January 6 and culminates in Mardi Gras Day (aka Fat Tuesday), on February 9 this year. We used to live in New Orleans, so our annual Mardi Gras party has become a tradition among our friends here in Delaware, many of them whom also lived in New Orleans when we did (we all met working at a DuPont plant in Louisiana, and DuPont's headquarters is here in Delaware, so many of us ended up back together!). I cooked all last week, our house is all decorated, we had our party last night, and on Tuesday we will go to another friend's house for another gathering of old Louisiana friends and our traditional Popeyes chicken dinner (yes, Popeyes is absolutely authentic!). Just a few of Zapp's fabulous flavors! First, we always order a carton of Zapp's Potato Chips from Louisiana a couple of weeks before the party. Zapp's are the most amazing chips you've ever tasted, with unique flavors you can't get anywhere else, like Cajun Crawtator, Cajun Dill (my personal favorite), VooDoo (my son's fave), and many more. They are made in a little Louisiana town called Gramercy, just north of New Orleans, and you can order them any time of year by clicking that link above or calling 1-800-HOT-CHIP. They now have some regional distributors, including Utz, near us in PA, so they arrive even faster than they used to. You won't regret it! For dinner, you might want to try one of these classic New Orleans' dishes. These are my own recipes, all easy and healthy (they were published in Family Fun magazine February 2012). 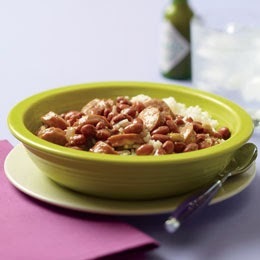 Red Beans and Rice is a favorite at our house that we eat all year-round. It is tradition in Louisiana to eat it on Mondays, so if you get the ingredients today, you can have a pot on your stove for tomorrow night. My version is super-simple, quick, and so tasty, your family will be begging you to make it again next week! Everyone looks forward to Jambalaya at our party each year, and it is a favorite among my family, too. This one takes a little more work, but it is well worth it. The recipe makes a big pot of jambalaya, so invite some friends over to share it! We usually make it with chicken and low-fat Andouille sausage, but you can use any combination of chicken, sausage, and/or shrimp. Another classic New Orleans dish is Shrimp Etouffee. We don't usually make this one for Mardi Gras (it's harder to make a big batch for a large group), but we have it for dinner throughout the year. If you live somewhere where you can get fresh crawfish or even frozen crawfish tails, then you can substitute those for the shrimp. Either way, this is a delicious, simple dinner perfect for the cold weather! And, if you don't feel like cooking, go to your nearest Popeyes and pick up some delicious, authentic (though not very healthy!) treats. Popeyes really was started as a local business in New Orleans by a local businessman there, and the food is actually pretty good for fast food and quite authentic - we usually get the spicy chicken, red beans & rice, dirty rice, and of course, their delicious biscuits. Last, but not least, you must have King Cake to properly celebrate Mardi Gras! Family Fun included a recipe (not mine) in my article for baking King Cake from scratch, but we usually get ours from a bakery. In Louisiana, King Cakes are everywhere for the entire Mardi Gras season - at the plant where we worked, there was a King Cake every single day from January 6 until the Friday before Mardi Gras (no one worked on Monday or Tuesday of Mardi Gras week! ), and whoever found the little baby baked inside had to bring the cake the next day. You can order directly from bakeries in New Orleans - two of the top ones known for their king cakes are McKenzie's and Gambino's - but we were happy to discover that most towns and cities have a local bakery or two that make King Cakes this time of year. Just check your local listings for bakeries and make some phone calls. We found two here in our area that make King Cakes, plus a grocery chain (Giant) that also bakes them this time of year. Finally, to put you in the Mardi Gras mood and give you an idea of what you're missing in New Orleans, NOLA.com sponsors a number of live web cams. This is the paradecam, which gives you a great view of St. Charles Street (where the classic street cars usually run), along one of the major parade routes. They used to have it on round-the-clock. This year, it seems they are only turning it on during certain times of day to catch certain parades, but the page I linked to includes a timetable. There will be parades every day right through Tuesday. In a sidebar on the right side of that same page are links to other live webcams in the New Orleans area. And this page on the nola.com site is a starting point for lots more content related to Mardi Gras, including fantastic photos and videos of parades and more. There's still plenty of time to celebrate Mardi Gras! Make or buy some Louisiana food and join in the celebration. Laissez les bon temps roullez!